Considering Hospice Care for a Parent? When a parent is diagnosed with a serious illness, it can be devastating for the whole family. Harder still, the news is often accompanied by the need to make complex and difficult decisions. Who will provide the care your parent needs, in what way, and in what setting? And how will the family cope during this time? For Solo Moms who are parenting children at home while also taking care of an elderly parent, the situation is especially stressful. In the day-to-day whirlwind of multiple caregiving demands (Does Jimmy start soccer this week? Did Mom take her morning dose of medicine? ), it can be hard to find the energy for tasks such as researching support options and trying to navigate complex systems of care. The temptation is to try to do everything on your own, which can be a fast track to caregiver burnout. But burnout often can be prevented by using services and supports. One important type of support that can benefit some families is hospice. Many people are aware of hospice as a concept but may not be sure how to access it, what determines eligibility, and whether or not it’s the right choice for their loved one. Here is some basic information about hospice to help you decide if it might be right for you. Hospice is a model of care in which a team of professionals from various health-care disciplines (e.g., nursing, physical therapy, and social work), along with volunteers, provide comfort care, symptom management, and support to people with terminal illnesses and their caregiver(s). It is a holistic model that includes attention to emotional, social, and spiritual needs, as well as the need for respite periods for the family caregiver(s). Grief counseling is another important component. A person is eligible for hospice when the focus of care becomes comfort as opposed to cure, and when a medical determination is made that, if the person’s health condition follows a usual course, there is a life expectancy of six months or less. There is a common misperception that a person who has been accepted into hospice will lose the service if that person lives longer than six months. In fact, people who live beyond the expected six months can remain eligible through physician referral in 60-day increments, as long as their prognosis hasn’t changed. When and in what setting is hospice provided? Hospice can be provided most anywhere, including hospitals, skilled nursing facilities, in hospice-specific centers, or in someone’s home. 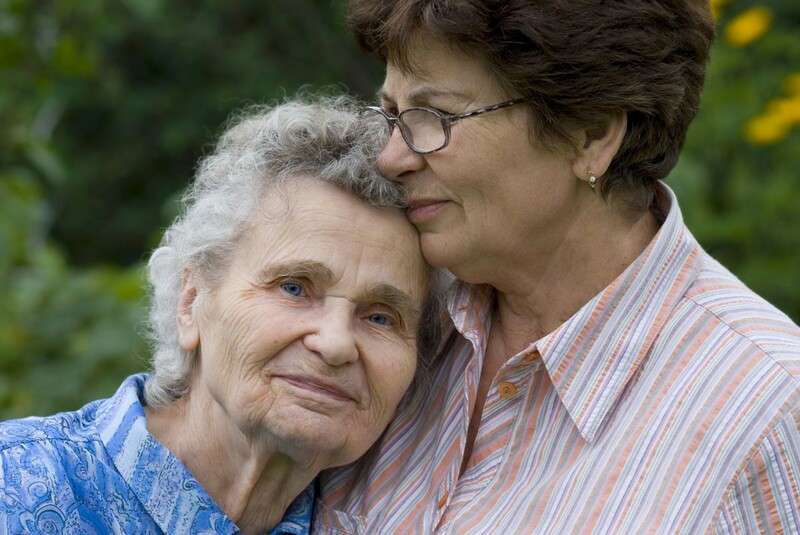 Some programs require an identified primary caregiver. It should be noted, though, that sometimes families, small groups, and even churches have functioned in this “primary caregiver” role, so a potential caregiver who is worried about having an overwhelming amount of responsibility should explore this option. How do I find and afford it? Usually, the process starts as a referral from the patient’s doctor. Many areas have multiple options for hospice care, each operating under the same general hospice framework. However, the specifics differ from program to program, so it helps to talk to a program representative and ask him or her for references from families. Hospice care is usually paid for through Medicare, Medicaid, or private insurance. Most programs will not turn someone away for inability to pay but instead will work with the family toward a solution, which might include donations and other kinds of contributions. Are there special Solo-Mom considerations? For most Solo Moms who are also parent caregivers, the primary issue is taking care of yourself and having enough support amid the myriad responsibilities that go with this territory. A related consideration for some Solo Moms in this situation is how best to minimize the impact on your employment. The typical sick-leave and vacation-leave packages do not take into account someone who is trying to simultaneously take care of him- or herself, a parent, and children. Therefore, in interviewing prospective hospice programs, it may be important to ask what they expect of a working caregiver, as well as what kinds of supports might be available for your specific situation. If you’re a Solo Mom who is also a caregiver for an aging or ill parent, accept any help that’s offered, investigate sources of help whenever possible, and cut yourself a lot of slack. Your day-to-day life is important and admirable, but it can also be hard. Be gentle with yourself, and let those who want to support you do so. Finally, if hospice seems like a good fit for your parent, your family, and yourself, know that you deserve the best possible care during this difficult time, and if you need assistance getting the ball rolling, ask a family member or friend to help you. We are stronger when we let others give us the support we need. Visit the National Hospice and Palliative Care Organization and Hospice Foundation of America.